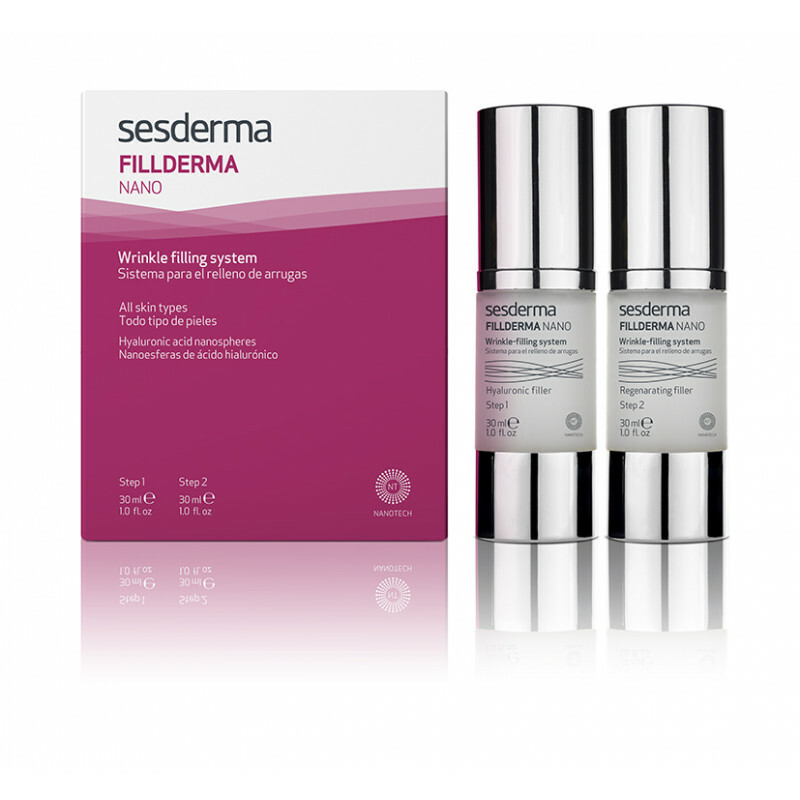 Fillderma is the first wrinkle filler on the market. 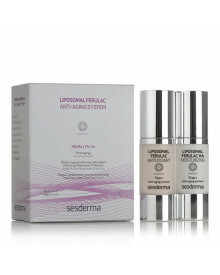 Its anti-aging and anti-wrinkle effects are exerted on the epidermis, dermo-epidermal junction, dermis and hypodermis. It increases cellular cohesion, improves the structure, firmness and tone of the skin, regenerates matrix, redensifies skin and fills wrinkles. Filling all types of wrinkles. Prevention and treatment of skin aging. Why do we get wrinkles? The main cause of wrinkles is the loss of collagen, elastin and hyaluronic acid on the skin, an unavoidable phenomenon that occurs as we age. 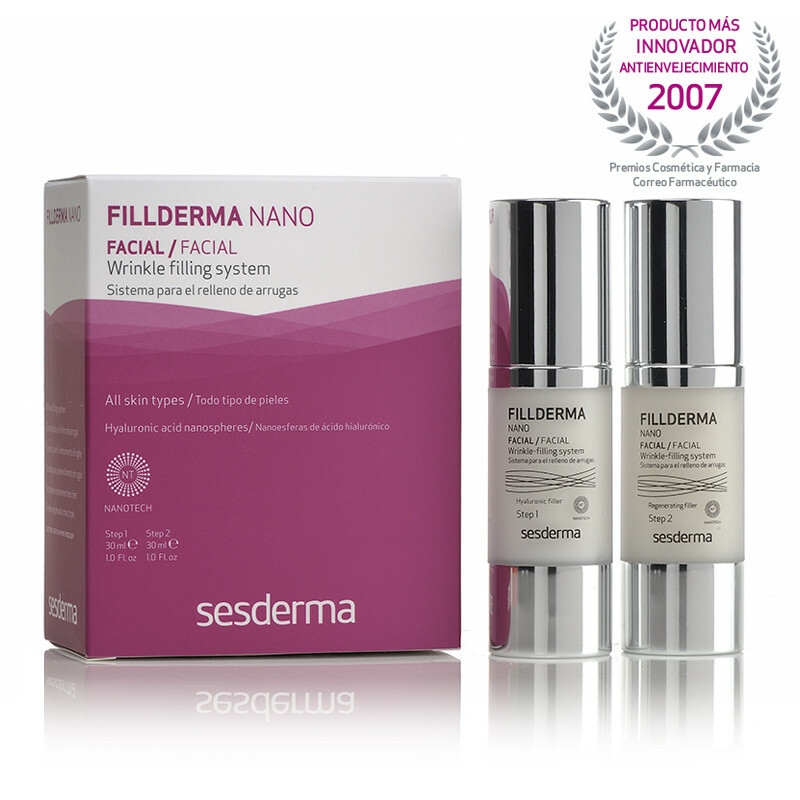 Fillderma NANO is a two-step system that fills wrinkles immediately getting an immediate filling and a lasting filling reducing the depth of wrinkles from within. • Fill, decreases the depth of wrinkles. Prevents the formation of new ones. 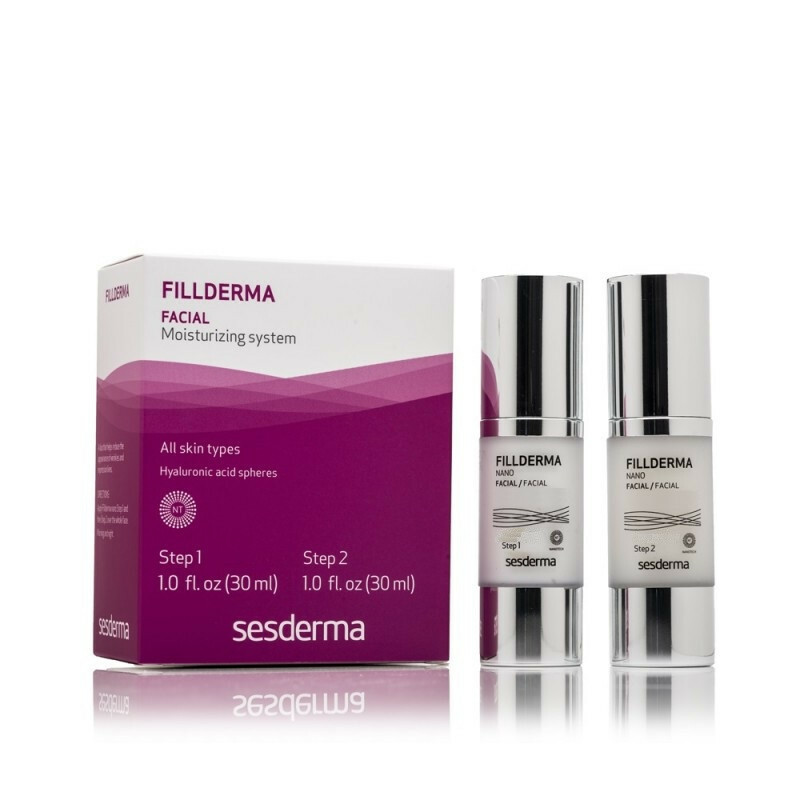 • Regenerates and restructures the dermal matrix to stimulate the synthesis of collagen, elastin, fibronectin, and hyaluronic acid synthesized substances which stop the passage of years. • Provides intense hydration and improves skin appearance: smooth and luminous. • Firms and provides loss of elasticity over time. Hyaluronic acid of high and very low molecular weight, fibroblast stimulators mimetic peptides, fermented sweet black tea, soluble collagen, gotu kola, niacinamide, urea. 3. Puede completar el tratamiento aplicando encima una crema hidratante tal como DAESES (Reafirmante), ACGLICOLIC (antiarrugas), Retises (Retinol + Vitamina C), BTSES (arrugas de expresión), RESVERADERM (Antixoidante). Tiempo de tratamiento: 2 aplicaciones al día (mañana y noche) durante 6-12 meses. Tratamiento de mantenimiento: 3 aplicaciones a la semana, especialmente por las noches.